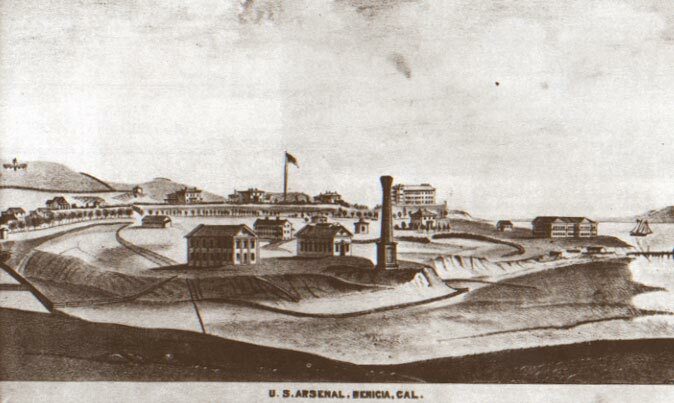 Historically, the Benicia Industrial Park began as the arsenal, and was the primary US Army Ordnance facility for the West Coast of the United States. The Benicia Arsenal was deactivated in 1963, and the facility was closed in 1964. As you can imagine the environmental clean-up requirements of the past were not as stringent as they are today. Much of the Benicia Arsenal land contains environmental remnants that would not be considered acceptable by today's requirements. Although acceptable for Industrial Use, the levels would not be acceptable for Housing. Although the Benicia Industrial Park Association is not opposed to the clean-up. We do not believe that the current owners or operators should bear the burden of cleaning up this land to a level that is not required for their industrial purpose. The DTSC issued a letter to Benicia's city attorney stating that a number of buildings in the Benicia Arsenal will require clean up. In the letter, it states that these areas have been identified as needing remediation and DTSC is in the process of obtaining agreement with the property owners, City of Benicia and the U.S. Army to clean up groundwater contamination on the site. The City Council hires the ERS Corporation to help the City work with DTSC. The resolution was passed and the agreement was signed. On December 6, 2010, BIPA held an open educational meeting at the Veteran's Hall to help all Industrial Park businesses understand the meaning and possible ramifications of the draft order sent by the Department of Toxic Substances Control. The DTSC released a DRAFT Imminent and Substantial Endangerment and Remedial Order to the Federal Government. In response, BIPA sent a letter to the DTSC noting that we did not believe that there was an immediate threat in the Benicia Industrial Park and notifying them that their actions could have devastating effects to the current businesses in the BIP. Our goal was to offer information to the DTSC about the potential damage that might occur to current businesses in the park should the Order be made, and hopefully help protect the BIP businesses. Although the Benicia Arsenal cleanup has been an issue in the city of Benicia since the Department of Defense released the property 50 years ago, the issue came to life again when the Benicia City Council unanimously voted passing a resolution to contact the DTSC and ask for assistance in cleaning up the Benicia Arsenal. This letter was the beginning of a new saga in the history of the Benicia Industrial Park.